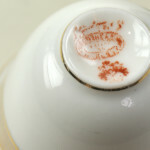 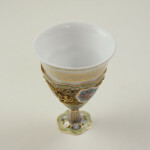 Geneva, Height 53 mm, circa 1830 A very fine and rare Swiss gold enamel zarf Case: gold enamel, bevelled shape, wavy rim. Open work sides with applied scrolls made of gold wire and gold granulations. 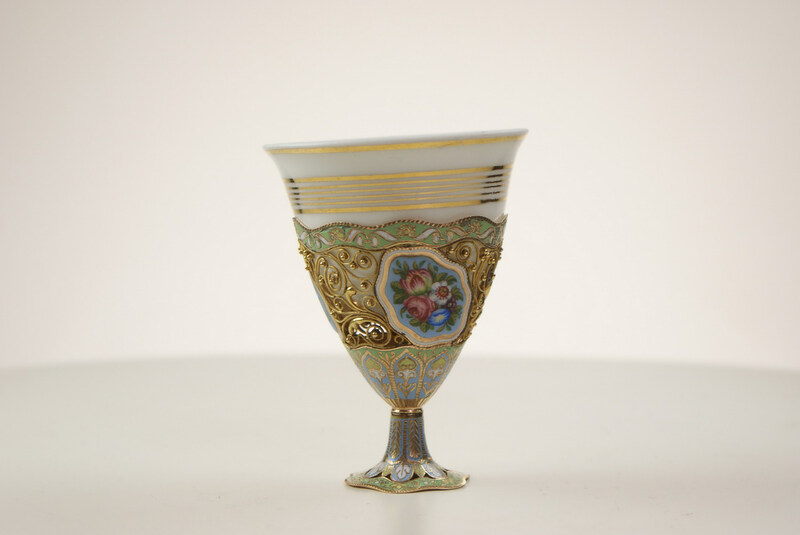 Three enamel cartouches with very fine polychrome enamel paintings of different summer flowers. 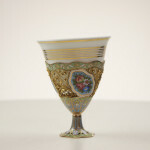 Rim, bottom part and foot with light-green and light-blue champlevé enamel. 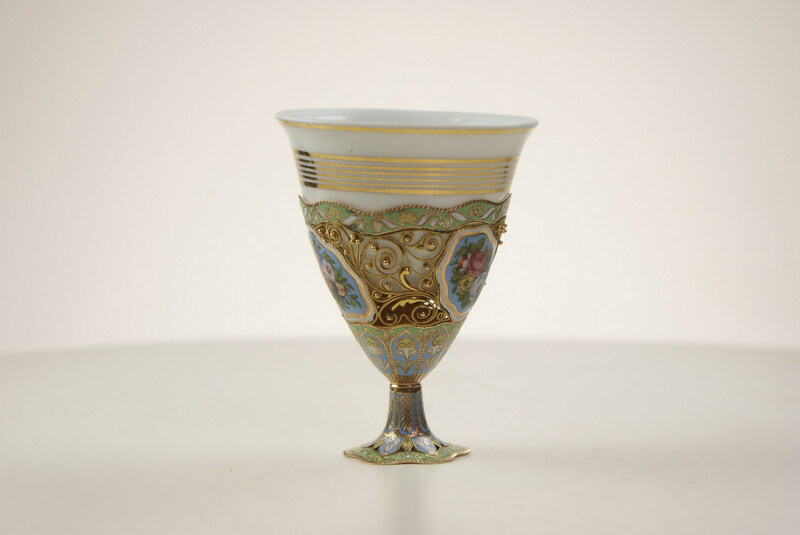 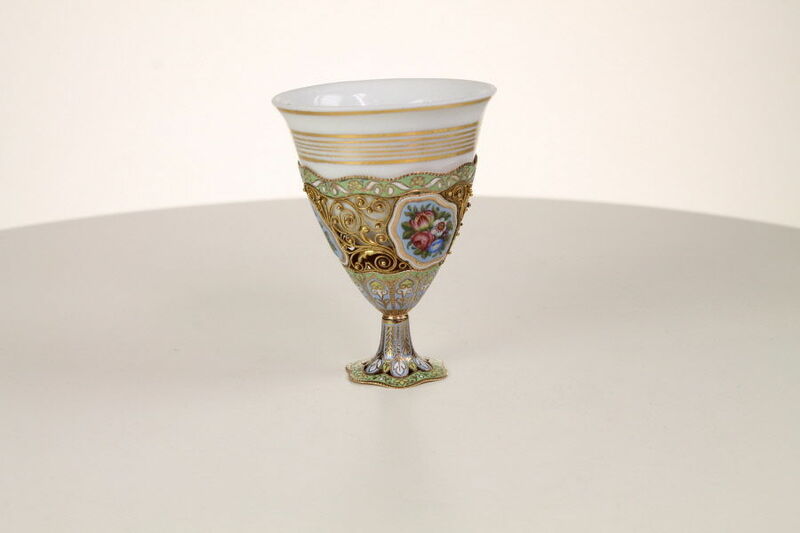 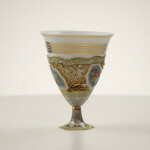 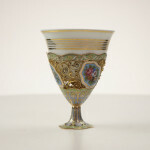 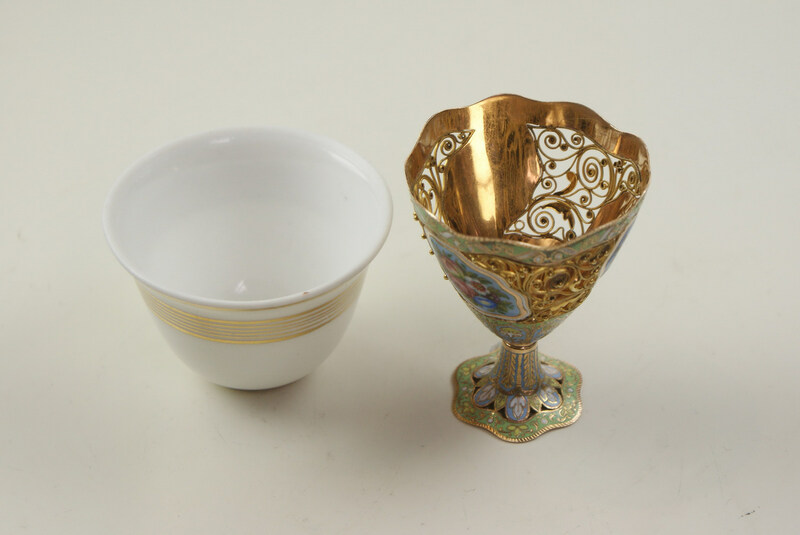 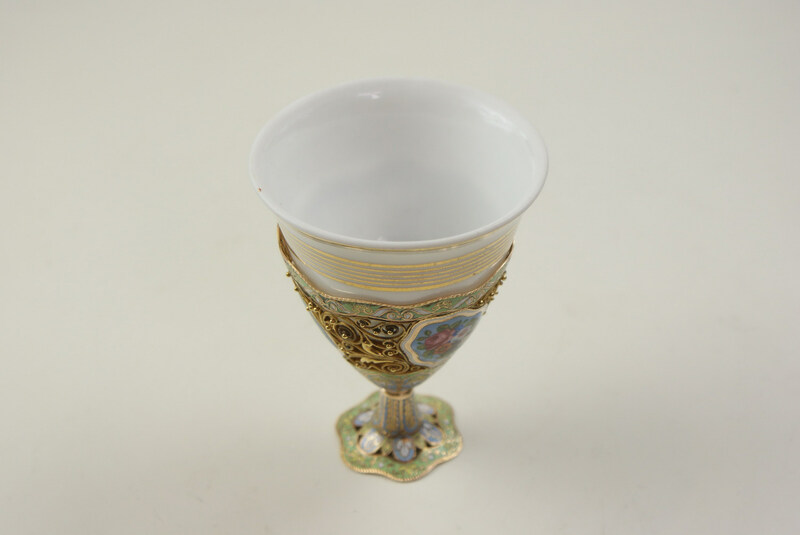 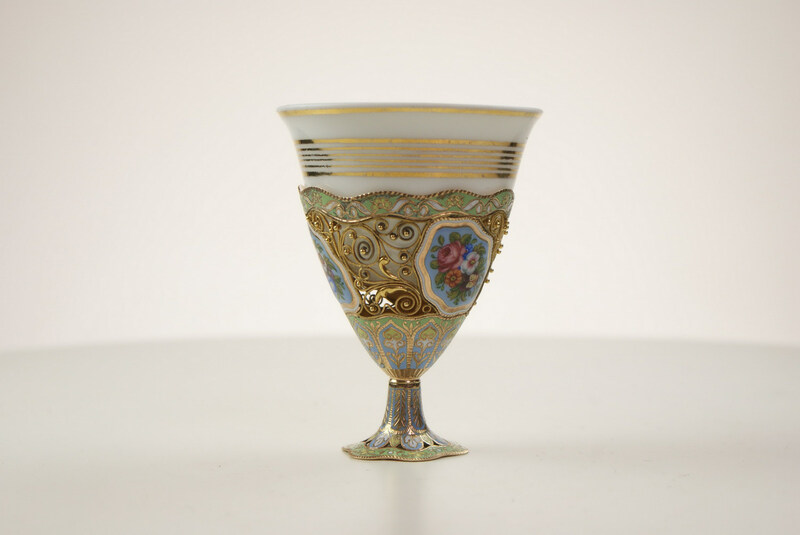 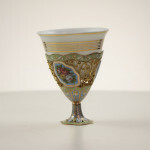 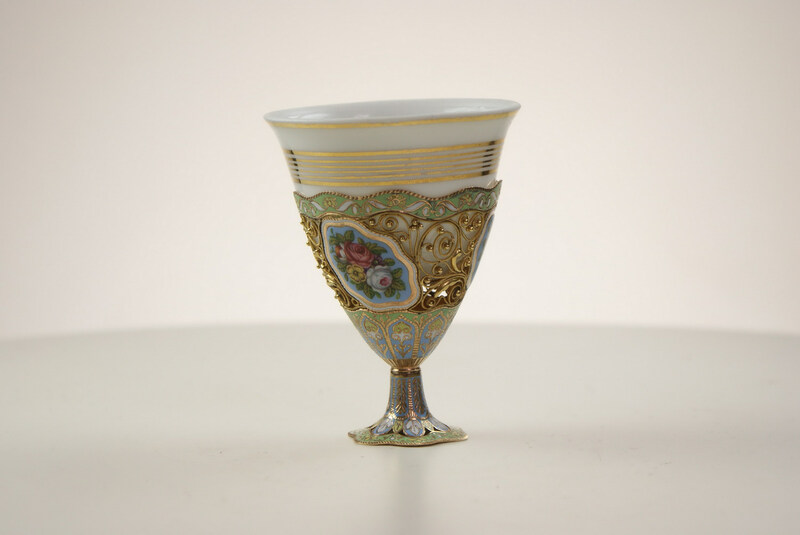 White gold rim porcelain cup, bevelled shape, total height 68 mm. 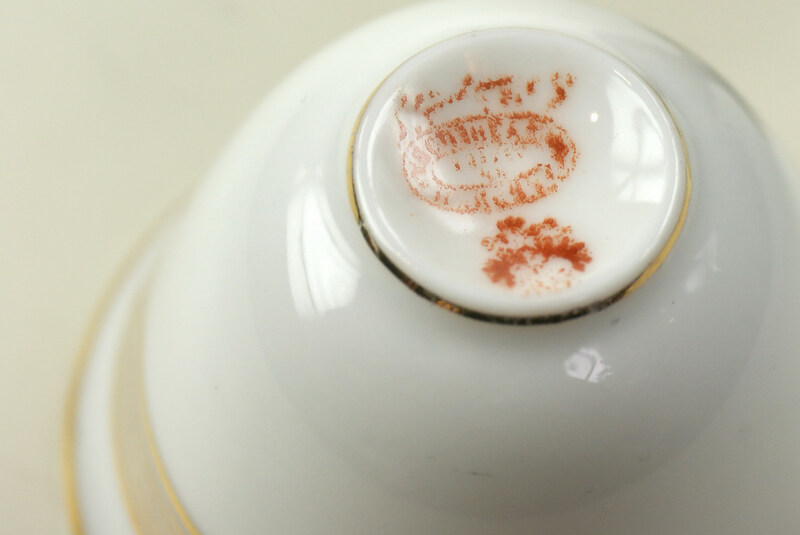 Condition:Fine. 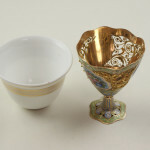 Width: total height 68 mm.